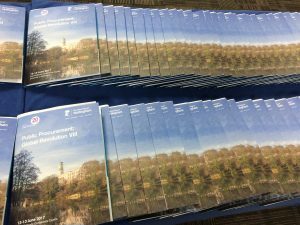 On Monday 12th June our events team, Justine and Laura welcomed delegates to the Public Procurement: Global Revolution VIII conference. This event has run seamlessly in previous years and we were eager to celebrate its 20th anniversary this year. The conference is a two day international conference, which sees approximately 300 attendees attend from over 35 countries. 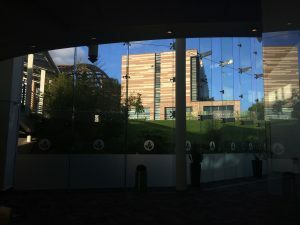 The conference has a real international feel and the East Midlands Conference Centre is filled with a lively atmosphere. 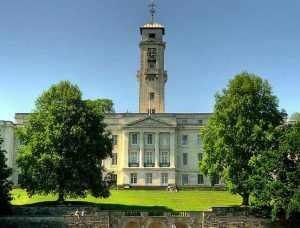 The venue is located on the University of Nottingham’s beautiful campus within close proximity of the lake and university buildings. Most of our delegates stay at the De Vere Orchard Hotel, which provides luxury and convenience, as it is situated adjacent to the conference centre. 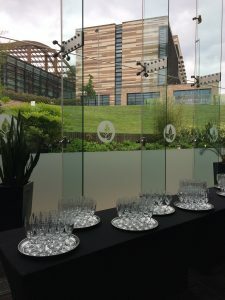 Most delegates and speakers arrive on the Sunday evening to enjoy our welcome drinks in the Atrium of the East Midlands Conference Centre. 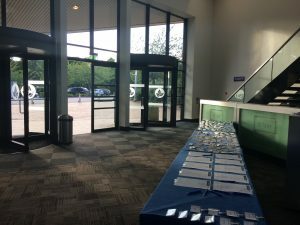 The centre is purpose built to provide all the facilities that we require and our dedicated team arrive early on the Sunday to co-ordinate with on-site management and catering staff, to ensure that everything is perfected before our first attendee arrives! This year we hosted a 20th Anniversary Dinner complete with birthday cake! The dinner was certainly one to remember, and we pulled out all the stops to deliver a decadent evening in celebration of this wonderful event. We always love the menus that we choose with the East Midlands Conference Centre catering team, and the conference dinner is one of our favourite events! If you’re thinking about organising a conference or birthday party then get in touch today! Trinity House – our new venue!